Virginia Gov. Terry McAuliffe vetoed a bill aimed at protecting first responders because it does not go as far as he wished. WASHINGTON — Virginia Gov. Terry McAuliffe vetoed a bill aimed at protecting first responders because it does not go as far as he wished. The proposed law would have made inciting a violent riot against police, fire and EMTs a felony with a five- to 20-year prison sentence. 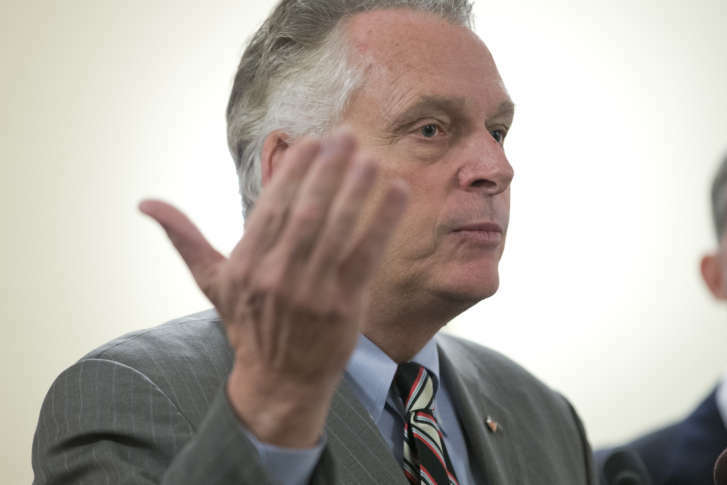 McAuliffe wanted the bill to also include riots against a person’s race, religion, color, sexual orientation or national origin. Lawmakers said the change was not relevant to the original intent of the bill. The proposal came after the fatal shooting of five Dallas police officers during what had been a peaceful protest last July. Inciting a riot is already a felony in Virginia, however this bill would have strengthened the penalty. The American Civil Liberties Union of Virginia told the paper that the proposed law was an attempt to chill any protest efforts in the Old Dominion. Lingamfelter said he disagreed with that characterization.